Please, refer to the diagram below for the following steps. Stitch 4 pieced squares to make a whole 6″ block, following the numbers 1 to 5. 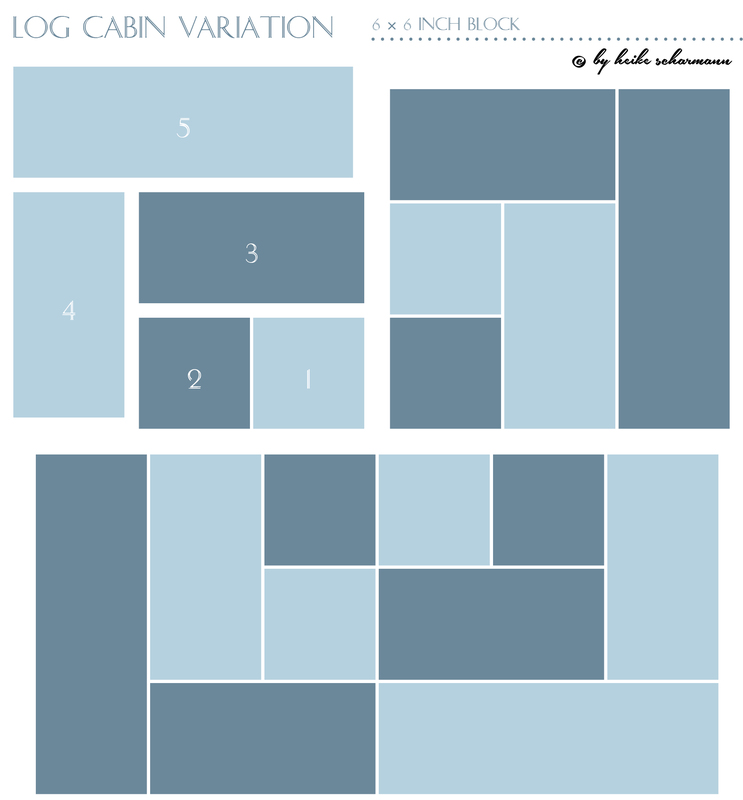 Begin by sewing 2 different print 1.5″ squares (step 1–2). Add a dark 1.5″ x 2.5″ strip at the top (step 3). Sew a light 1.5″ x 2.5″ strip at the side (step 4). Sew another light 1.5″ x 3.5″ strip at the top (step 5). Voila, you’ve finished your first quarter. Make 4, carefully watching the placement of light and dark prints. Stitch together 2 pieced squares to make 2 rows. Again, carefully check the orientation of those. Sew 2 rows together. That’s it! This is beautiful. How would you quilt this? How much material would be needed for a king sized quilt? thank you, linda, you’re absolutely right. i’ve seen a whole quilt of it using only black and white prints, though, and it looked gorgeous! How can I get pattern instructions for some of your other blocks? Thank you Heike, I would love to have the information on the blocks. Neat idea……will be trying this one, thanks a lot! Thanks for sharing! Great pattern and instructions! Can this awesome square be made larger? Love your block …like all log cabin blocks. Love this block!!! Do you have a picture of the finished quilt you could post? Thank you for this beautiful block. What a great idea and so wonderful as its a beautiful block, thank you for showing us how to think outside a square! I Love this block, Thank you so much for sharing ..
Can’t wait to try it. Thanks! Love the quilt block. Thank you!